If you’ve ever been camping in the United States, you’ll know that the camping grounds are normally in the middle of National Parks, or secluded in areas that are surrounded by wildlife. Of course, these sites are normally incredibly beautiful, but they can leave you a little out of sorts. One of the best things about the camping grounds in Europe is that you don’t have to be in the middle of nowhere! There are many campsites just a short bus or train journey outside of major cities such as Amsterdam, Venice, Prague, Bruges and more. Every single country is different, and every single culture is different. This means that there are certain dos and don’ts that you have to abide by when you’re traveling across the world – especially in Europe. If you’re planning to camp in Europe, it’s important that you remember to be respectful at all times. One of the main issues travelers come across in Europe is that people in France, Italy and Spain have a different take on alcohol. In their eyes, alcohol is to be savored rather than binged, so you need to ensure that you do not disrupt or offend your neighbors during the evenings. If you’re a seasoned camper, you will probably know that most campsites offer set prices for their pitches in North America, no matter the number of people in the RV or the camper. However, things are a little different in Europe. Many camping grounds in Europe charge per person, per tent, and even for each vehicle. Because of this, it’s important to research camping grounds before you rock up. If you don’t want to pay a fortune, you might have to reevaluate your destination for the evening! In Europe, there is a high season and a low season for camping – and I’d recommend that you don’t visit Europe for a camping trip during the low season. The high season normally takes place between June and late August, and visiting a campsite during this time will offer you everything you could possibly need to have the best camping vacation. There will be other campers, restaurants, stores and more, and it will be a hive of activity. However, as soon as the weather starts to turn and Fall starts to etch closer, many campsites shut their doors, close their stores, and seal up their restaurants. Because of this, it’s almost impossible to camp during the winter months. While there are still some camping grounds in Europe that offer both male and female restrooms and shower rooms, many offer facilities that are for both men and women. Many campsites offer cubicles that have a shower and a lavatory in it – you just have to be very careful in the morning, because you don’t want to press ‘the flush’ to realize it’s the ‘ON’ button for the shower! Camping in Europe is definitely on my agenda in the next few months, and if you’re planning on booking your flights and pitching your tent with me you should probably get yourself up to date with these little differences! Have you been camping in Europe? Share your experience with me in the comments! Announcing the Summer 2018 Theme: Camping! I am thrilled to announce that this summer, JessicaLippe.com will be tackling a topic that we’ve mentioned before from new angles. I love camping. I love all kinds of camping! If you’re not so sure about camping, stay tuned. Because camp options and the ways you can go about them are so diverse, camping really is a travel activity that everyone can enjoy. Using camp as a money-saving accommodation for a regular vacation. Making camp feel like a faraway, adventurous destination, even if you’re only minutes away from home. “Day camp”- enjoying camp activities while sleeping in your own bed in your own house. “Glamping”- making camp feel fancy. Different camp accommodations like tents, campers, RVs, cars, cabins, and hammocks. And of course, personal stories from trips I will be taking this summer! What camp-related topic would you like me to cover? Let me know in the comment section down below! PS- If you’re going camping this summer, or on any kind of trip or staycation where you want to catch up on rest, be sure to check out the summer 2018 issue of Girlz 4 Christ Magazine. In addition to its usual fun and meaningful articles, the issue theme is “rest” and filled with ways to relax at home and on the road. Get a free subscription to Girlz 4 Christ just by clicking here! Georgia is home to plenty of delightful cities, but none come close to the serene beauty of Savannah. It’s one of the most underrated places in the US, with big names like NYC, Orlando, Boston, Seattle, and New Orleans all taking the limelight. If you asked someone to name the top ten places they’d like to visit in North America, it probably wouldn’t make their list. Even if you know nothing about Savannah, you can probably guess the food will be pretty amazing. It’s a Southern city, which means it brings all the best Southern cuisine to the party. There is an absurd amount of great food here; from homecooked fried chicken to strange treats like earl grey cookies; everything is covered. It’s somewhere for foodies to enjoy, and there’s somewhere great to eat for every meal of the day! My biggest annoyance with traveling around the US is that so many of the ‘popular’ cities are way too expensive. They capitalize on all the popularity and ramp up prices across the board. Here, things are different. You can find a hotel near Savannah, Georgia for a lot less than you’d probably expect. It’s affordable to stay in this city for a few days – and you can stay in a nice hotel while you’re at it! Food and drink are also very cheap, it’s a great place to go if you want to have fun without worrying about how much you’ll spend. It always helps when you go somewhere that looks beautiful. Partly because it means you can get some great photos for your Instagram page, but mainly because it just puts a smile on your face when you walk around and see so much beauty staring back at you. Savannah has some awesome architecture that will blow you away, along with a selection of gorgeous squares filled with trees, green grass, and stunning statues. There’s no shortage of natural or man-made beauty here, and you’ll love it. Who wants to travel somewhere and be met with sourfaced locals? Not me! Thankfully, you don’t have this problem in Savannah, as you’re made to feel welcome the moment you arrive. There’s the classic Southern friendliness in the locals, they’re always happy to help point you in the right direction, or suggest somewhere to eat. It makes a massive difference to your overall experience when you’re surrounded by happy and helpful people. I’m fairly confident most of you had never considered Savannah as a city break destination before today. I’m also optimistic that it will now be firmly in your thoughts! It’s a city with so much to offer, and these were just a few of the many highlights! It seems that fashion will never get over its on again off again affair with leopard print. Perhaps this is because people will never stop wanting to hint at their wild nature while also paying homage to these beautiful, graceful and savagely efficient predators. Yet those who love leopards and other big cats like tigers are often given cause for chagrin when faced with attractions that enable you to pet and interact with (obviously drugged) jungle cats. The only way to see these magnificent creatures without impinging on their lives is in their natural habitat. 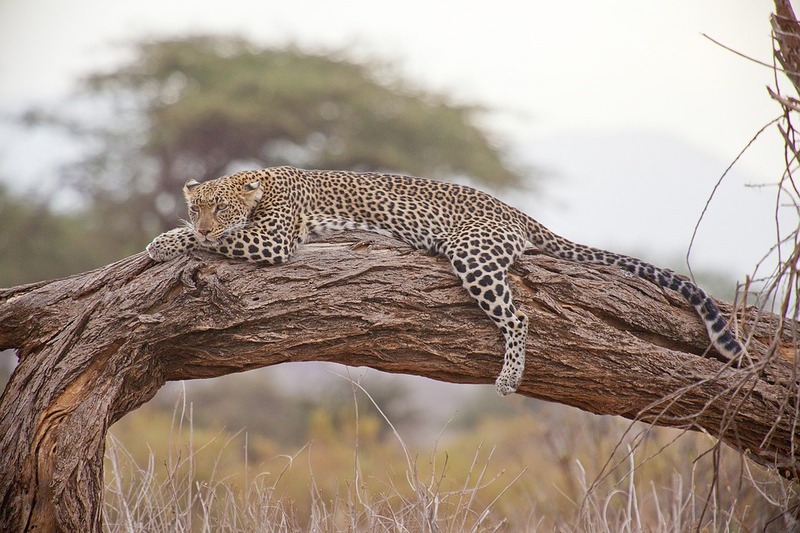 Check out https://www.leopard-tours.com/ to do exactly that. You’ll get to see these incredible cats in their habitat and on their own terms. Your contributions will also help to conserve and protect their habitat. Elephants are gentle giants whose wisdom and grace is all too apparent for those who see them up close and personal. Unfortunately, many of them have also been subject to enormous abuse at the hands of the logging and tourism industries. Fortunately, sanctuaries are popping up around the world where these hard working and often horribly abused creatures can live out their days in happiness and plenty. No longer will they have to carry heavy tourists on their backs or drag carts of logs up hills. Visit a place like Phuket Elephant Sanctuary and you’ll see just how much love, care and attention goes into giving these wonderful animals a safe haven. You’ll even be able to walk with them and feed them too. North America is also home to numerous wonderful indigenous species and many breathtakingly scenic national parks. For our money, though, one of the best has to be Colorado’s Rocky Mountain National Park. Aside from the incredible topography this is one of the few places where you can see an abundance of the tragically misunderstood coyote. Walk the Coyote Valley Trail and you’ll learn a great deal more about these beautiful and fascinating canines. Whether you’re from another country or you just don’t travel out of your state very often, there are so many wonderful destinations to see in the U.S. Maybe you’re an explorer, or maybe you’re more of a relax-on-the-beach type of traveler. Whatever the case, there’s a trip that suits everyone in this fascinating country. But there are certain spots that promise sun and spectacular sights throughout the year, so here are some of the best locations for a sunny U.S. vacation. We obviously had to start with California. It’s one of the most popular tourist destinations in the country, but the sunshine and sweltering heat are only two reasons why this place is so fantastic. You should start with the vibrant and exciting city of Los Angeles. As pictured above, this city is famously the home of Hollywood. It’s an intriguing place to see outside of pictures and movies, but it’s definitely worth exploring. You should walk up Hollywood Hills to admire the city from a greater height; the Griffith Observatory is well worth visiting up there too. Of course, L.A. also offers the famous Venice Beach with its boardwalk stalls and impressive skaters. It’s a city that’s hard to summarize in one paragraph because there’s so much to see there. San Francisco is another beautiful Californian city that you simply have to visit. Its iconic cable cars are a great way to travel around the city, and you should admire some of its classic Victorian architecture if you have the time. Make sure you see Alcatraz Island too. It’s a fascinating historical place, but it’s also stunning; colorful gardens are now grown on the island, and it’s developed its own intriguing ecosystem. Speaking of nature, you really need to see some of the incredible national parks in the state too. Yosemite Valley is particularly mesmerizing. You could stay in the Château Sureau if you’re looking for pleasant and peaceful accommodation. It’s nice to get away from the noise of the city to admire the natural beauty of California. But you can soak up some sunshine wherever you are in the state. Florida is the east coast’s answer to California, in many ways. It’s a beautiful state with sunny beaches, tropical trees, and stunning views. Whilst California has Disneyland, Florida has Disney World. Now, if you’re the type of tourist who loves theme parks and nostalgic throwbacks (whether you’re traveling with your family or even your friends in their twenties and thirties) then Florida probably beats California on this front. As you can see from the photograph above, Disney doesn’t hold back on the theatrics. It’s the perfect place to go if you want a fun vacation with a healthy dose of sunshine at the same time. There are other amazing things to do in the state, of course, but this is definitely the best place to start. Texas is another great state to visit if you want sunshine and plenty of things to do. Being the biggest state in the U.S., it’d be hard to see every fantastic thing in the state during one vacation, but you should definitely visit the city of Houston. The Space Center is an incredible place to visit; it includes a huge collection of moon rocks and even a Saturn V rocket. It’s a very cool place for space fanatics. There are also plenty of incredible things to do in Dallas. The Sixth Floor Museum is a fascinating tribute to John Kennedy, and it contains many intriguing eyewitness accounts and photographs from the day he was shot. Six Flags is a great theme park that’s only a short drive away from the city too. Obviously, California and Florida both beat Texas in the amusement park department, but Six Flags is still a lot of fun. Would you like the organize a vacation this year without all the stress you usually encounter? Are you sick and tired of coming home from a break feeling more worn out than you did when you left? Then you’ve come to the right place today because this article offers some fantastic advice on the best ways to ensure you cover all the bases when planning your next family vacation. Hopefully, people who read this post will manage to put all the essentials in place and ensure their family can have an excellent and memorable time, wherever they might decide to go. Of course, there are always things that can go wrong with your vacation, but that doesn’t mean you shouldn’t do everything within your power to take preventative measures. While it’s sometimes possible to save money on flights if you wait until the last minutes to make your booking, that is not a reliable strategy for families. The last thing you want is to turn up to the airport hoping for the best because there is a chance you might not get on a flight for a while, and there are no guarantees the price will make that approach worthwhile. So, do yourself a favor and make sure you pay for your air travel at least three months in advance. Experts like those at https://www.cnbc.com/2017/05/11/whens-the-best-time-to-book-a-flight.html say that will give you the best chance of finding flights that are not overpriced. Of course, there are many different comparison websites you can use to ensure you find the best deals. Search Google to discover the most popular ones out there at the moment. You need to follow the same approach when it comes to arranging accommodation for your family. During busy periods, many hotels will sell out, and so you should only wait until you land in a few specific instances. For example, if you plan to travel to somewhere like India; you might benefit from booking your room when you arrive at the hotel. That is because you could pay around ten times as much for the accommodation if you make the booking online. There are also lots of guest houses that do not advertise on the internet. However, if you intend to travel to any Western country; you should always make reservations ahead of time. That way, you know where to tell the taxi driver to take you when you arrive at the airport. The last thing you want is to arrive at the airport and discover that one of the people in your group does not have a valid passport. For that reason, it is vital that you double check everyone’s documents a couple of months in advance when you book the flights. Some countries have strict rules when it comes to the expiry date of the passport. If the document expires within six months of the time you plan to travel; it is sensible to apply for a replacement. Some airlines ask that passengers have at least six months validity on their passports before they will let them fly. That is because you can often stay in a country for three months or longer without an extended Visa. So, it’s possible you might struggle to come back home. Depending on where you plan to travel in the world, there is a chance that you might have to pay for Visas and other travel documents. Using the same example as before, those who plan to visit India will have to apply for the file permissions to gain access to the country. However, India provides exceptionally lengthy Visa documents for between three and five years. Other countries take a similar approach. For people living in the US, Visas are usually required for travel to hundreds of different countries. Still, in many instances, you only need them if you plan to stay in the nation for more than three months. Your government’s website will provide all the details you require. You’ll want to make sure you arrange lots of action-packed days during your vacation. However, you won’t want to spend an hour every morning working out what you want to do and how to make the arrangements. Instead, you should take the time to research the destination online before you plan to travel. You can then take a look at all the most famous sights, parties, and activities. Create an itinerary before you fly so that you have a basic idea of what you want to do during each day of your trip. That should help to ensure you never find yourself without something exciting to occupy your time, and it should also mean the kids don’t spend all day complaining they’re bored. Also, be sure to ask the little ones if there is anything they would like to add to the itinerary. There are many websites where you can purchase tickets for almost anything online these days. Make sure you use that fact to your advantage when it comes to planning the itinerary and ensuring you have something fun to do every single day. Most sites feature calendars like you find at https://www.vegastickets.com/events-calendar and similar domains. That makes it easy for you to search for events happening during your trip and pay for all the tickets ahead of time. You should follow that process, no matter where you plan to travel in the world. Nobody wants to become bored in the evenings where there is so much to keep them entertained. However, if you wait until the last minute; you might struggle to get tickets for some of the most popular shows. If you’re going to visit an African country or somewhere in Asia, there is a reasonable chance that you might need some vaccination injections before you fly. That is especially the case for your children, and so you’ll need to consult your family doctor as soon as possible. Let them know which country you are going to visit, and the professional can then advise on the best course of action. In most instances, you should only need one or two injections to ensure you are safe when you travel. If your kids are less than enthusiastic about the idea, be sure to tell them what can happen if they get bitten by a mosquito and contract malaria. With a bit of luck, that will help even the timidest children to see sense. It’s impossible to get lost when you spend time in a foreign country if you learn how to use the walking sat nav feature available from Google. You can either download their Maps app or use the search app on your smartphone. It all depends on which phone you have at the moment. The best thing about the Maps app is that you can enter your destination, and the software will work out the fastest pavement route for you to follow. Once the root is ready, you no longer require an internet connection. The app downloads all elements of the map it requires in advance. So, there is no need to stress about those extortionate roaming charges from your cell phone provider. Set the root in an internet cafe, and then you can get from A to B without a connection. Lastly, you need to make sure you have all the right insurance policies in place for your family. If you become ill or injured in a foreign country, there is a reasonable chance you will end up with a massive medical bill if you don’t have the correct insurance. For that reason, it is wise to conduct a lot of research before you board the plane. Speak to health insurance companies on the telephone. Let them know which country you are going to visit, and listen carefully to the advice you received. Do not make the mistake of attempting to cut back on spending when it comes to the policies you purchase because you need extensive cover at all times. You never know when one of your kids might get ill or injured, and you won’t want to wait around at the hospital before the doctors agree to treat them. So, insurance is essential! You should now have a reasonable idea about some of the things you will need to think about when it comes to planning a vacation without headaches. If you manage to cover all the bases mentioned in this post, there is a decent chance you will have an excellent time when you go away with your loved ones this summer. People who ignore or overlook any of the suggestions on this page are setting themselves up for failure. Considering that, go and check those passports before it’s too late, and start searching online for events you can attend with your family during your stay. Above all else, start having fun! The digital revolution has transformed the way we interact with the world. It takes only a click to order the latest bestseller. You can share videos in real time of your day. And you can even apply for jobs on the go. In short, the world must have been a very lonely and slow place before we’ve got online! But, digital has also made traveling more comfortable. In fact, the experienced traveler is a digitally-savvy user who can find everything they need online. Of course, you might be thinking of booking your accommodation and flights, but there’s much more to trips than these. Here are the many ways in which digital devices can make your travels more enjoyable. Are you an experienced traveler? So you’re dreaming of visiting a distant country but you can’t find affordable flight fares? It’s a common issue and one that many travelers experience. That’s precisely why many of them use a handy website – Skyscanner – to scan regularly for the best prices for a specific journey. You can even save your search and let the tool warn you when cheap tickets are available. Skyscanner is also available as an app, so you can set up your flight search on the go and let it do its magic! Just because you’re traveling, it doesn’t mean you have to stop watching the shows you love. This is especially important if you’re a backpacker or a digital nomad, aka the kind of person who spends a lot of time away from home. A TV show, in your case, means a lot more than just entertainment. It’s the comfort of a routine that remains you of home. So if you’re looking for a way to log into Netflix wherever you are in the world and avoid country-related limitations, check out these NordVPN reviews. This smart tool lets you fool the ISP into thinking you are in your home country – meaning you can watch US shows even in central China! Contrary to the common belief, English is not the proxy language everywhere. In fact, while you can easily find English-speakers in busy metropoles, things become a little more difficult once you venture outside of large urban centers. If you’ve tried visiting Sicily – the most rural part of Italy – or rural China, you probably know that your English words are faced with confused looks. You need to speak the local language to get by, and that’s precisely why Duolingo courses are so popular with travelers. They are fun and entertaining as you can take your courses on the go. How much are your spending abroad? It can be tricky for travelers to manage their budget through foreign currencies. But with the right budgeting app you can keep all your expenses in one place and keep track of how much you’re really spending. Experienced travelers would tell you that overspending is a rookie conversion mistake, so make sure to avoid it! Of course, you could travel without using digital tools. But let’s be honest: You’ll have a safer and more pleasant time if you do! Going away with your family can be one of the most amazing experiences you can have together, especially if your kids are young. You might be thinking ‘one day’, but let’s face it, your kids aren’t going to be young forever, and they’re certainly not going to want to go on vacations with you when they get into their later teens and they feel like they have better things to be doing. Not all kids and teens are like this of course, but you should still make an effort to get away with your kids while they’re young and you can make amazing memories together! Staying a little longer in the place you visit might seem counter productive, but it can actually make things much cheaper for you. The longer you stay, the smaller the cost per day tends to be. If you stayed an extra 3 days, or you could even stretch to an extra week, you could have an even better time and save money while you’re at it. Have a look online to see if you can find family discounts for the things you know you’re going to want to do. Never just pay on the door (or the gate, whatever) once you get there, as you’ll usually end up spending way more than you need to. You might even get a pass that says the kids stay and eat for free. Booking anything online in advance usually guarantees that you’ll save money, but make sure you’re not packing your itinerary too much, as younger kids will want time to explore and relax at their own pace. You’ll get tired of dragging them from attraction to attraction, too! Staying in affordable accommodation will make a big difference to your budget. Accommodation is one of the most expensive things you’ll have to find. You could rent a house, which will mean having your own privacy, and your own space, although you’ll have to make sure you clean up after yourselves as housekeeping won’t be there to do it for you. You could also look at apartments like https://www.rumah.com/apartemen-dijual/di-area-kalibata-idjk03019 which tend to be cheaper than staying in other kinds of apartments. Make sure you set a realistic budget for your accommodation and stick to it. Remember, that you might find cheaper accommodation further away from the action, but you’ll need to spend money on transport then, so it’s all swings and roundabouts. Do the maths so you know what’s best for you. Staying somewhere with a kitchen can mean saving an absolute fortune on food, especially if you’re staying for a week or more. Buying multiple meals and snacks for your family every day will add up and you’ll barely have money left for activities. Even if you just buy the ingredients for cereal in the morning and a sandwich later on, it’s going to really help you to save cash. If you do go to eat out, make sure you know the right times to eat. In some areas, having an early dinner will mean being able to take advantage of lunch time prices. You’ll get a meal of the same size for cheaper! Streetfood is a good option when you’re out exploring. It’s often just as delicious but really cheap. Just make sure the area has a high turnover of people, as the food will be more fresh. You don’t have to spend money on activities. Research free activities and figure out what you’ll do. Many museums and galleries can be free, even if it’s just on certain days or at certain times. In some places, things like bike tours are even free. Your family will get some exercise and be able to find your bearings around the area on a bike, all while shown around by an expert. You can’t get much better than that! If you can share a few suitcases between you and make the most of carry on bags rather than have a suitcase each, you’ll save so much more money. Fewer bags means spending much less on the things you take with you, so be vigilant. You want to have options, but be serious about what you really need to take and don’t let your kids take their whole toy chest. If you can stay flexible, travelling out of peak times will always help you to save more money than travelling at the hottest times of year. Plus, you’ll miss getting trampled in crowds of tourists, which is always a good thing! You don’t have to visit in monsoon season or anything, but you should research the best times to visit out of peak season and see what you find. Sometimes, booking very last minute – within a few weeks, or even a few days, could mean saving a lot of money. You want to go somewhere that’s suitable for the kids, but if you don’t worry too much about where you go you could enjoy seriously cheap flights and sometimes accommodation as airlines and companies try to fill last minute spaces up. If you’re shopping in a foreign space, always haggle. Never pay the marked price for something, as they take haggling pretty seriously in other countries, and you could be missing out on enjoying a brilliant bargain on a cool souvenir. Be polite and kind, but practice your haggling skills and have fun with it. You might even teach your kids a few things. Are you ready to go and enjoy your next family trip without spending your life savings? Leave your thoughts below! There’s nothing more exciting than going on vacation, but for many of us, the build-up to the departure date can be stressful. If you’re counting down the days, here are some simple tips to help you get organized and keep stress at bay. There’s nothing worse than rushing around like a headless chicken trying to cram everything into a suitcase with minutes to spare. The earlier you can pack, the better. Write a list of everything you need to buy before you go away, and then get out your holiday clothes. Start putting anything you won’t need to use before your vacation to one side, and stick to organized piles. Work your way through your shopping list, get all your laundry done a few days before you leave, and then pack your cases. Make sure you put everything you want for the journey in your hand luggage and check the weight of your bag to make sure you don’t get stung at the airport. Check that you’ve got everything you need before you set off, including your travel documents and tickets, plugs and chargers, cash and cards, and any medication you need. It’s best to pack any valuable items, such as tablets and cameras in your cabin bag. If you’re struggling to think about what you need, take a look at this handy packing list https://www.realsimple.com/work-life/travel/travel-planning/vacation-packing-checklist. An empty house is a lot more appealing to thieves than an occupied home. If you’re going away, the last thing you want is to be worrying about your prized possessions. Before you go away, consider beefing up your home security if you don’t already have security lights or an alarm system. If you visit sites like www.suddenlink.com/, you can explore options, including innovative technology that enables you to keep an eye on your home while you’re overseas. It’s also a good idea to ask your neighbors to collect your mail for you and to cancel any deliveries. If you use social media, take care to avoid posting photos or tagging yourself in far-flung destinations if your profile isn’t set to private. You don’t want to be chasing your tail on the morning of your flight or worrying about getting to the gate in time. If you don’t plan to drive yourself, make sure you ask a friend or relative for a lift or book a cab or transfer in advance. Give yourself plenty of time to get to the airport and make your way through security. It’s better to have too much time than to be sprinting through departures with seconds to spare. Are you looking forward to jetting off on vacation? The countdown to going away can be stressful, but if you’re organized, you can ensure things run smoothly. Write a list of everything you need to do before you travel, pack in advance and give yourself peace of mind by protecting and securing your home. Book a cab or ask a friend or family member for a lift to the airport, give yourself plenty of time to make your flight, and then chill out and enjoy yourself. Going abroad is a very exciting experience, but if you do not make the effort to make sure that you are booking the right hotel then this can cause you some serious problems in the future. You may find that the whole thing becomes very problematic, very quickly and you may also find that you struggle to find a hotel that you can be truly comfortable in as well. Research is key if you want to avoid all of this and you also need to ensure that you are diligent in your approach to the amenities that are available. When you are choosing a hotel, you need to make sure that it is centrally located. If you are choosing a duplex in Malaysia for example, it’s a good idea to check it is close to all of the local attractions. Of course, it also helps to be close to the local transportation routes as well. The last thing that you need is to have to spend hours on end just trying to get from one place to another, and you also don’t want to be limited to where you can park either. Of course, taking local transportation helps you to avoid all of this and it is a fantastic way for you to make sure that you are getting the best result out of your vacation in general. If you are going on a business trip then it helps to ensure you are close to the commercial centre and you also need to make sure that you are close to wherever the business meetings are taking place as well. After all, when you are out travelling for work, your time is very valuable and you won’t want to waste it making the huge trip from your hotel to your office. If the area that you are travelling in has a very hot climate, you won’t exactly feel refreshed after a long train ride either. The main problem that a lot of people experience when they book a vacation is that they find it hard to spend thousands on a hotel for a few nights, even if it does happen to be in a great location. Of course, if you are finding it hard to find somewhere that’s great without paying the huge price tag then one way that you can get around this would be to book somewhere just outside a tube station or bus route, this way you can instantly travel whenever you leave your room and you won’t be too far away from everything that you want to see and do. If you are travelling for leisure, it helps to really take into account the country you are visiting. For example, if you are travelling somewhere hot then being close to a pool may be way more of a priority when compared to being close to a casino or a bar. One of the main problems that a lot of people experience when they choose to travel via car is that they find it hard to find somewhere to park. If you are choosing to go by car then it might be worth checking to see if the hotel is able to offer parking for the guests and even to find out how many parking spaces are available. Some hotels can even offer you dozens of parking spaces to choose from and this is ideal if you are travelling during the off-season. Other hotels may see guests fighting over the spaces that are there, and this can be a real nightmare if you are travelling with kids or someone who finds it very hard to walk. Of course, it’s also worth checking to see if they can provide you with free daily parking or if you are going to experience a charge for it. If you are travelling by train or anything else for that matter then why not find out if your hotel is able to offer you a shuttle service? If they do, find out if you have to book this beforehand or if they run throughout the day. When you find out this information you can then book your hotel much more efficiently while also giving yourself peace of mind. Your hotel isn’t just a place for you to shower and sleep. It really is going to be your home while you are away, so it’s important that you treat it as such. You need to feel comfortable and relaxed at all times and this involves you sitting down and trying to work out what exactly what you need in your room. For example, if you are choosing to travel with your family then you may need to get more than one room. If you know that your family do need more than one room, check with the hotel to find out if their rooms are connecting. You may also want to ask to see if they are able to provide you with a suite. Of course, the last thing that you need is to book a room and get there, only to find out that you are not able to sleep in there because the third bed that you have is actually a fold out sofa. If you can, you should also find out if you are able to get a bath, a shower or both. It also helps to have a separate toilet if there are a lot of you because when you have kids and someone needs the bathroom, it never turns out well. Amenities are a huge part of booking a hotel room. It’s important that you know which amenities come with which room. Some of the things that you have probably come to expect include an iron, a safe, a telephone, a TV and a hairdryer. It’s also worth asking the hotel if the internet is free and if they are able to provide an ironing board at your request. You would be surprised at how many hotels state that they can provide you with a free iron, but when it comes down to it, they can’t provide you with an ironing board or anything else of the sort. Some hotel rooms even come with a minibar as well, but be careful with this. Even though it is very convenient and you may think that it is the best thing since sliced bread, it’s not at all. In fact, the prices for these mini bars are so expensive that you may go through a small fortune in no time at all. One issue with them is that some of them charge you as soon as you open the fridge. If you were to take out a can of pop, the digital sensor would detect this and they may even charge you even if you happen to put it back. This is the last thing you need and when you have kids with you, the whole thing can become super hard work and very, very expensive. It’s also a super good idea for you to be able to check your hotel’s check-in and check-out times. It can be quite disastrous to check-in to a hotel, only to find that they cannot give you a room for another two or three hours. When you have very tired relatives with you or a baby that needs a nap, this can make the whole thing even more stressful. If you want to avoid all of these issues then try and work with your hotel provider to find out if they can give you an early check-in. When you are able to talk to them about this, you can then work with them to find out how you go about getting it. If you want to save money then just get early check-in for one room. This way, you can put the kids down for a nap when you arrive, you can go to the bathroom, get changed and more, and then everyone else can go to their own rooms when the time comes for them to be available. By doing this, you can save yourself a small fortune, especially if you book the early check-in for the biggest room as usually it is the same price. Some hotels have endless facilities. They have coffee houses, bars, in-hotel stores and more. It’s worth checking out these facilities to find out if you need to have a specific dress-code and to also find out if you have to get something for the kids to wear as well. When you are able to do this, you can then get the best result out of your vacation and you can also try out some new places as well. This is all very easy to do and it is a great way for you to relax and unwind without experiencing a ton of extra hassle and fuss trying to find a shop nearby that sells smart clothes.